InSight, or the Interior Exploration using Seismic Investigations, Geodesy and Heat Transport, launched this past May, and is slated to touch down on Monday at 8PM, UK time. It’s equipped with three tools for studying the planet: a seismometer for measuring sound waves travelling through the ground (also known as Marsquakes), a heat probe that measures how heat flows beneath Mars’ surface, and a radio antennae to measure the changing location of the planet’s North Pole to indirectly study its core. Those instruments will arrive on a platform nearly identical to the previous Phoenix lander’s to transport the instruments to the Martian surface. The InSight lander will need to slow from several hundred mile-per-hour speeds to softly land on the Martian surface. Mars has a thinner atmosphere than Earth and therefore less atmospheric drag for the parachute to slow down with, and the planet still has weather like winds for the lander to contend with. Even if all goes according to plan, a robotic arm must move the heat probe and seismometer onto the ground—something that’s never been done before. Scientists hope that InSight will arrive at the planned flat location like a “parking lot,” and not on a slope or on top of a large rock. “For me, it will be thrilling if it’s really flat and boring,” Suzanne Smrekar, Deputy Principal Investigator of InSight at NASA, told Gizmodo. “That’s so we can safely deploy our instruments and get started quickly.” The heat flow probe can hammer into the ground most easily when it’s level, and the scientists don’t want the seismometer to wobble by sitting on a rock. The InSight team has worked hard to prepare the lander for these various challenges. InSight will land at a higher elevation than Phoenix and will thus have less time to slow down, so the team has strengthened its parachute—Hoffman told Gizmodo his team was unable to break the parachute in a wind tunnel, which is a good sign. It will then fire rockets in order to ease itself onto the surface. Once it lands, InSight will immediately take a picture of the Martian surface, and scientists will get to work deciding where to put the instruments. It will still be two to three months before the instruments are fully deployed, though. 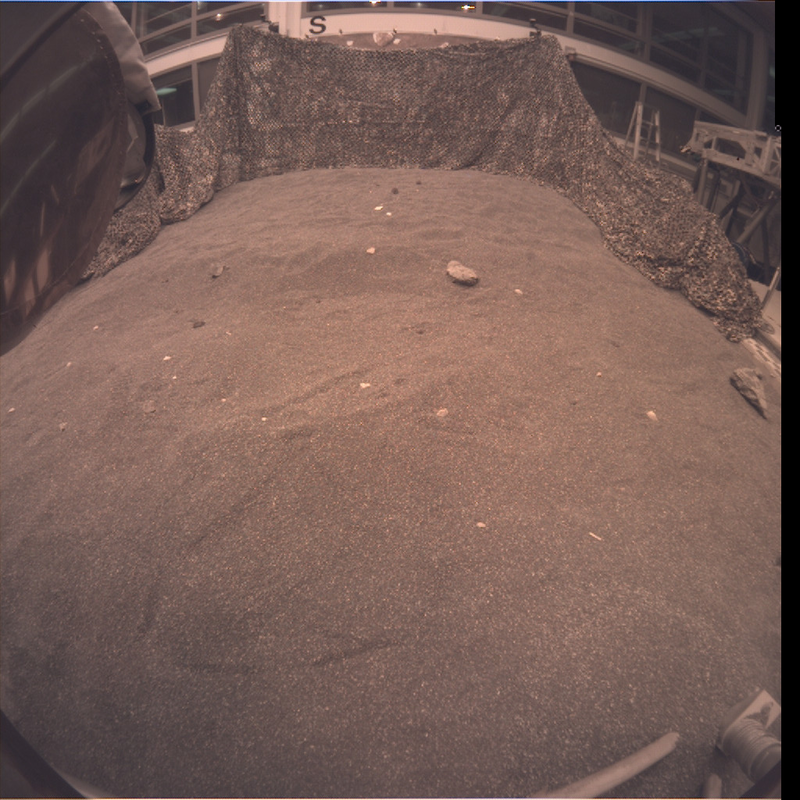 There’s a test bed at JPL, with a full mockup of InSight sitting atop fake rocks and gravel, for scientists to do test runs of placing the instruments with the robotic arm. You might be aware that the last lander to fly to Mars, the European Space Agency’s Schiaparelli lander, crash-landed hard due to a miscalculation. The InSight team reviewed the lessons learned from Schiaparelli, and made some tweaks to the probe’s software in response, said Hoffman. NASA engineers will be listening for telltale radio signals from the probe, and will monitor it with the Mars Reconnaissance Orbiter and Odyssey. Two smaller spacecraft behind InSight will also attempt to monitor InSight’s progress and relay signals back to Earth, according to a NASA release. But once InSight arrives, the science will be amazing. NASA will air the landing on Monday, and we’ll be following along.